Von Decarlo is a multi-talented stand up comedian, radio and television personality, actress, and author of the book, Speak Fluent Man. She grew her fan base with a sketch comedy web series and blog called, Trash Talk with Von Decarlo, in which she tackled pop culture, sports and relationships in a fun, yet informative way. From the popularity of the show, as well as her growing social media following, fans began to call her “Coach Von” in relationships and sports. She started to make regular appearances on television and radio as a life coach, and became a mainstay on Sirius XM NBA Radio, as well as, Sirius XM Urban View. She completed two seasons as a talking head comedian on BET/Centric’s relationship based show, According To Him + Her, and is featured on Tru TV’s hit comedy show, Laff Mobb’s Laff Tracks. In addition, she performed at the Just For Laughs comedy festival in Montreal for Kevin Hart’s LOL Network, JFL Present’s LOL Live. You can catch her in national commercials for GNC, Disney’s Aladdin, Carnival Cruise Lines, and on CNN’s year end wrap up special, All the Best/All the Worst 2018. 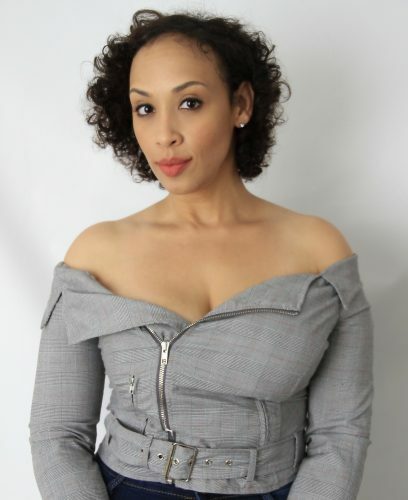 Von Decarlo is the first woman to host her own show on Sirius XM NBA radio called Coach Von’s Corner; a weekly show where comedy meets sports, covering everything on and off the court in the NBA. Coach Von’s Corner has since expanded into a digital media show where she sparks fun, uncensored, conversations about life, love, and relationships using current events and sports to anchor into hard-truth discussions that most people shy away from in todays sensitive society. Her podcast, Coach Von Podcast, uses sports to anchor into fun, yet honest, conversations about life, love, and relationships. The Coach Von Podcast will relaunch in April as a live streaming show with guest comedians talking candidly after performing on her monthly comedy show Let’s Talk About It with Coach Von. Both shows will be available on Patreon, giving fans exclusive, raw content. You can find her performing stand up at many premier venues throughout New York City, and her one woman show Lasagna debuted at The People’s Improv Theatre to a full crowd and rave reviews. She is a graduate of the UCB improv program, a founding member of the musical improv group Good Catch Comedy, and a UCB diversity scholarship recipient. Von Decarlo is a double first name, and yes, her mother named her after Lily Munster. Von Decarlo produced three of Patrice’s O’Neal’s posthumous comedy albums: Mr. P, Unreleased, and The Lost Files. In addition, she wrote and produced the theme music for his Comedy Central special, Elephant In The Room, and is Executive Producer of the official Patrice O’Neal documentary. She is proudly spearheading this highly anticipated documentary about his life and legacy to help ensure his memory and comedy are kept alive and continuously introduced to future generations. For more information, visit patriceoneal.com.